If you're flying into or out of a NYC airport with a large group of people, stop worrying about the ground transportation. 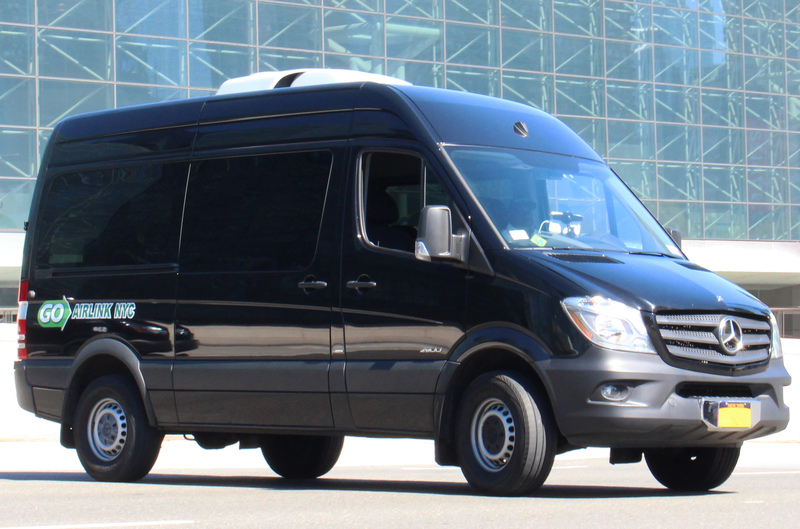 Book a New York Airport Van for up to 11 passengers and we will get you to your destination without a problem! Our private vans are comfortable, durable, always accompanied by an experienced driver, and most importantly, big. There is plenty of space to fit all of you friends comfortably, and to fit your luggage safely, as we take you wherever you need to go. Go Airlink NYC is an authorized carrier with the Port Authority of NY and NJ, so we're fully licensed and insured to get you to your destination. Book your private van online. We'll know when your plane lands, so we'll be there to pick you up. Now that you are at the van, our professionally licensed drivers will help you with your luggage and you just hop in and leave the rest up to us. GO Airlink's service team is available by phone 24 hour a day, 7 days a week, so we're here when you need us. Also, our flight tracking system allows us to see when your flight is delayed, so you don't even have to call us. Airport transportation for your large group is made comfortable and easy with the NYC Airport private van service, so book now!